Would you like to have a low cost ambisonics mic? 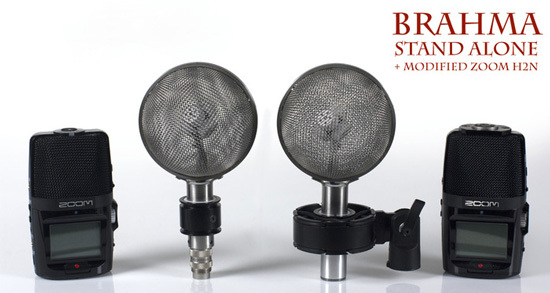 If so, you might want to consider signing up to this Kickstarter project for a Brahma Ambisonics mic, but hurry as there isn’t much time as they need $25,000. Until now ambisonics microphones have been very expensive but if this kickstart project is successful then then it will be possible to get an ambisonics microphone for as little as $649. Please note - we haven’t tried one of these microphones yet, so cannot vouch for the quality.